Very Few performers have an effect on the modern pop culture that this man has. As a performer, as a writer and as a boundary breaker! With the largest fan base in the world, to do this man justice it has to be approached with the dignity and respect that he deserves. This isn’t a tribute act, this is a genuine fan, paying homage to an incredible talent. 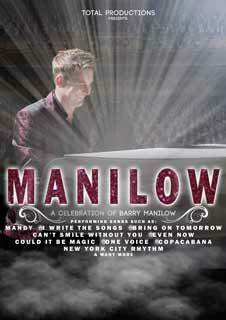 As tonight we celebrate a legend as we relive the music of “Manilow” With an incredible live band and stunning backing vocalists, this production celebrates the timeless songs and melodies of ‘Barry Manilow’ the man & his genius. With all of his classic hits from Even Now, I write The Songs, One Voice, Copacabana, Could It Be Magic, I Made It Through The Rain, Mandy & so many more. Brought to you by Total Productions. 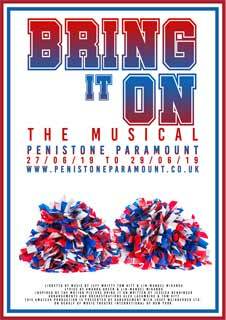 Bitingly relevant, sprinkled with sass, and inspired by the hit film, Bring It On The Musical takes audiences on a high-flying journey filled with the complexities of friendship, jealousy, betrayal, and forgiveness. Uniting some of the freshest and funniest creative minds on Broadway, Bring It On features an original story by Tony Award winner Jeff Whitty (Avenue Q), music and lyrics by Tony Award-winning composer Lin-Manuel Miranda (In The Heights, Hamilton). Campbell is cheer-royalty at Truman High School and her senior year should prove the most cheertastic - she's been named captain of the squad! But an unexpected redistricting has forced her to spend her final year of high school at the neighboring, hard knock Jackson High School. Despite having the deck stacked against her, Campbell befriends the dance crew girls and, along with their headstrong and hardworking leader Danielle, manages to form a powerhouse squad for the ultimate competition - the National Championships. The Spooky Men's Chorale are the gift that keeps on giving… as thunderous as a herd of wildebeest, as sly as a wagonload of Spike Milligans and as sonorous as a cloister of monks. The manchoir emerged blinking-eyed from the Blue Mountains of NSW fifteen years ago and armed with no more than their impressively cavernous vocal chords, a nice line in deadpan, improbable facial hair and an ill-matched set of hats, have been gleefully wooing audiences throughout Australia, NZ and the UK ever since. 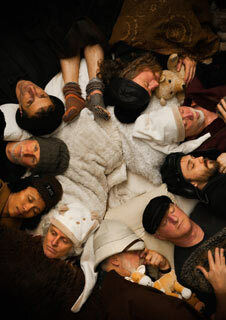 Renowned for a combination of Visigothic bravado, absurdist humour and eye-moistening tenderness, the Spookies, in middle age, are more masters of their territory than ever before, with five critically-acclaimed albums under their belt. For their 2017 UK tour, they will revisit their much loved b(l)ack-catalogue, forays into immense Georgian anthems, tender arrangements of traditional and contemporary classics, their own uniquely entertaining songs and choreography. 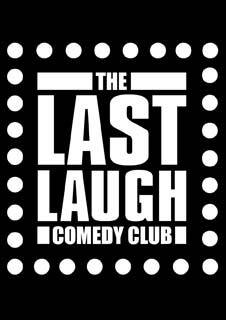 Last Laugh have been making people laugh for over 24 years, making them the longest running comedy club in South Yorkshire. Tonight MC Toby Foster is joined by three top acts. Please note, this show is over 18’s only and bills are subject to change. Energising and enthusing to watch ... punchy, toe-tapping and thrilling to hear! is how the last years production by the West Yorkshire Savoyards was described in the press. 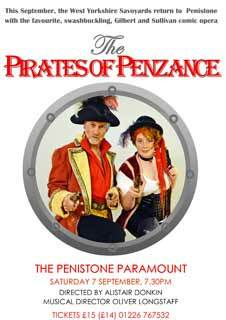 This September they bring one of the most popular G&S operas, Pirates of Penzance to Penistone. Fast, funny and packed with satirical wit and musical excellence, don’t miss this one-off performance of the successful touring production. Join us to celebrate the incredible career of Cyndi Lauper. This high energy live production will take you back to the 1980’s with all of Cyndi’s greatest hits such as Girls Just Wanna Have Fun, True Colors, Good Enough, Time After Time, She Bop, I Drove All Night and many, many more! 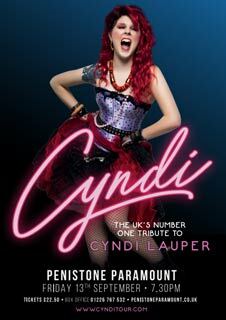 Recreating highlights from her unique live performances, this show pays tribute to the outstanding songwriting and quirky costumes that made Cyndi one of the greats. Back comb your hair and put on your bracelets because the Cyndi Tour will have you coming back, Time After Time! This is a tribute show and is in no way affiliated with any original artists/estates/management companies or similar shows. Promoter reserves the right to alter the programme. The Choir feature regularly at the Paramount in the Rotary Club’s Christmas Concert. This evening provides the opportunity for the Choir to showcase more of their extensive repertoire. Songs from stage musicals to spirituals, from traditional items to imaginative arrangements of popular music are sure to delight the audience. 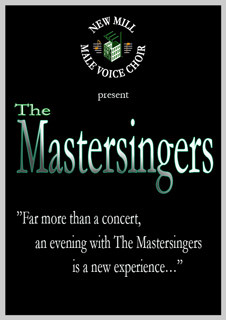 The Mastersingers were formed primarily as a recording and backing ensemble of male voices some 30 years ago under the direction of Alan Simmons. They have evolved into their present format of four female and eight male voices, the unique voicing – SATTBB. The group’s repertoire ranges from medieval French carols through to clever arrangements of current pop songs and they are never frightened to explore new work – which lately has included some of the beautiful music of Eric Whitacre, and, most recently, music from Australia courtesy of the wonderful Ruth McCall. Audiences are always delighted with the ‘surprises’ on offer! 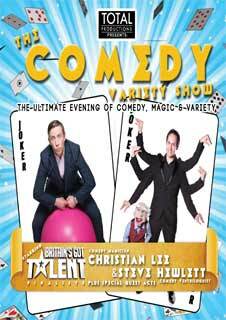 Join Britain’s Got Talent finalists, Christian Lee (Comedy Magician) and Steve Hewlett (Comedy Ventriloquist) plus special guest acts in a magical evening of variety & entertainment in 2019 as they embark on their first joint UK Tour across the country. Packed full of hilarity and fun, it’s the perfect trip to the theatre for all of the family brought to you by Total Productions. 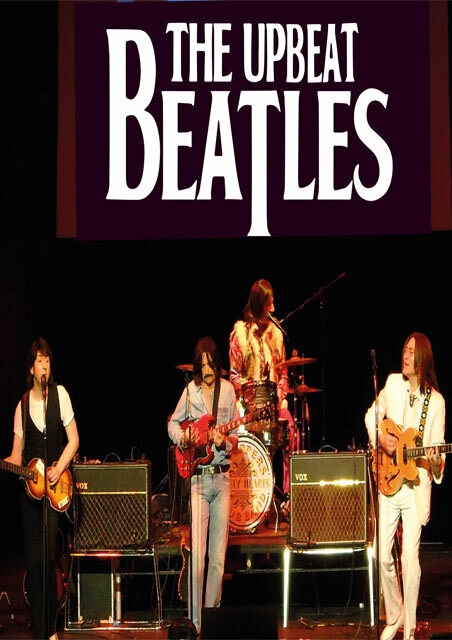 The Upbeat Beatles are second to none - powerhouse vocals, precision harmonies and tight musicianship. The guys have an easy, happy rapport with any crowd, giving them a reputation to be envied as the best in the business. 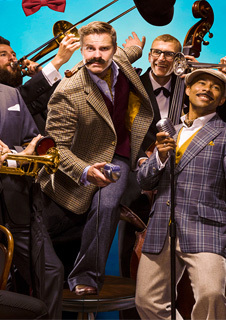 There isn’t a band to touch them - 8 bars of “Twist and Shout” and you will know why! No other band can perform this song like the Upbeat Beatles! The show takes you through the Fab Four’s long and winding road from the early Cavern days through Beatlemania, America, Sergeant Pepper to Abbey Road, with narrative and full multi-media presentation. If you love the Beatles you’ll love this show, and if you don’t love the Beatles you’ll love this show! Immerse yourself into an all new production, celebrating the works of so many artists coming together in the UK & USA in the ultimate charity concert that stood the test of time. 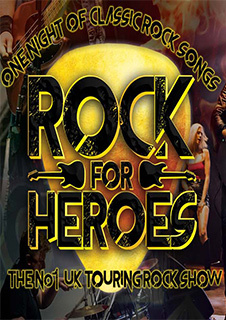 Performed by an full live rock band and incredible singers, paying homage to the greatest performers and greatest songs from this historical event. With music from artists such as Elton John, Dire Straits, Status Quo, David Bowie, Queen, The Beach Boys, Madonna, Spandeu Ballet and so many more. 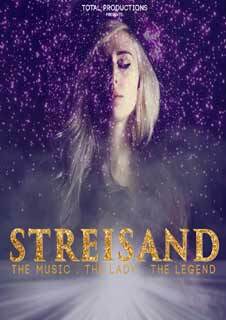 You won't be able to resist singing your heart out and dancing in the aisles. You won’t see a bad wig here, this isn’t a tribute act this is simply paying tribute, the best way we can to the legends that changed the world. This is the Live Aid Experience. Nostalgia just doesn't come any better! 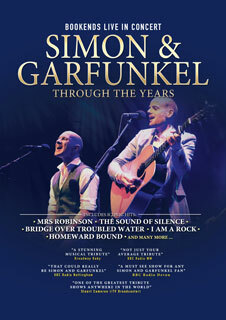 Another sensational show from the producers of 'Memory Lane', 'All our Yesterdays' and ‘Rolling back the Years’. 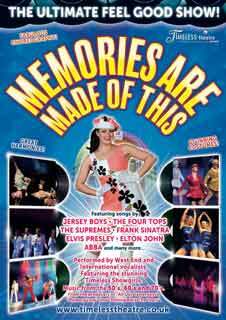 One of the biggest shows of its kind in the UK, taking the audience on a thrilling and breathtaking musical journey through the 40's, 50's, 60's, and 70's. Stunning costumes! Brilliant choreography! 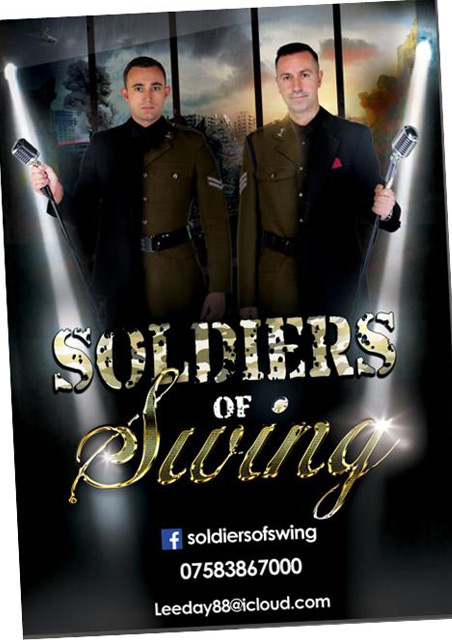 'West End' and international vocalists, along with the stunning 'Memory Lane' dancers perform some of the greatest hits from each decade including Swing, Country and Western, Movies and Musicals to name but a few. Includes songs by Connie Francis, Frank Sinatra, Everly Brothers, Cliff Richard, Elvis Presley, Abba, Barry Manilow, Jersey Boys, Michael Buble and many more. 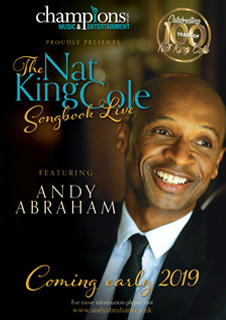 Immerse yourself in vocal bliss, with the smooth harmonies and classic songs of group that will never be forgotten. 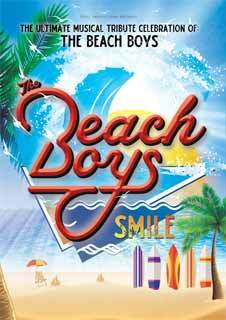 In an all new production – The Beach Boys Smile, touring the UK from 2017. 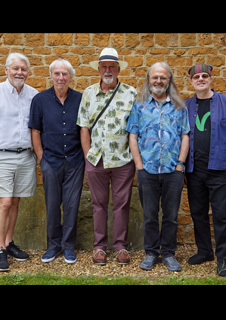 Love of music, vocal harmony and Brian Wilson's composition are what brings five young and incredibly talented musicians together to form Beach Boys Smile (aka BBS). Their roots can be traced as far back as the 80s when three brothers sang along to the classic surf tunes of the Beach Boys in the car on their way to the sunny beach, radio cranked up high! Every time BBS put on a show, all these memories flood back and put a smile on audiences faces the world over. All the greatest songs and feel of The Beach Boys!! 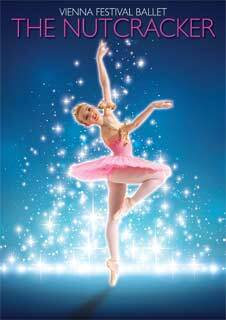 Audiences have the opportunity to catch one of Tchaikovsky’s world famous classical ballets The Nutcracker when the highly acclaimed Vienna Festival Ballet company returns to town. The enchanting tale of The Nutcracker follows Clara and her nutcracker doll, which magically transforms into a princely soldier. Their adventures see the Prince and Clara combat the Mouse King and join the Sugar Plum Fairy on a wonderful trip to a Kingdom made entirely of sweets.